VIDEO: the Bieber has landed! 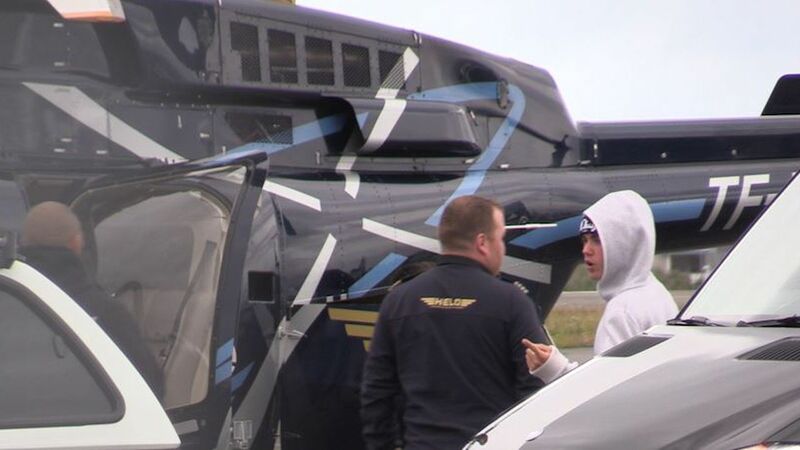 As you can see from this video from our Icelandic sister site mbl.is, Canadian pop sensation Justin Bieber has now arrived in Iceland ahead of his two concerts tomorrow and Friday night. A group of excited fans gathered at Reykjavik Airport to try and catch a glimpse of their hero as he transferred from his private jet onto a departing helicopter. “I’m shaking, I’m trembling… and she’s in tears!” we hear from Beliebers Hugbjörg, Kolfinna, Ylfa and Kládía. “What’s so special about him?” asks the interviewer. “Everything – just everything” comes the breathless reply.